The Crychan Forest and neighbouring Halfway Forest is set in beautiful countryside Nestling between the Brecon Beacons and the Cambrian Mountains. Here miles of waymarked trails take you through tranquil grassy gorges, along old drover’s routes and past cascading waterfalls, taking in breathtaking views of the surrounding mountains of Mid Wales. The Forest is beautifully situated at the gateway of the Cambrian mountains, on the border of the Brecon Beacons National Park. There is a contrast of trees from the native oak, ash, beech and hazel of the original ancient forest, to the imported conifers, which have a beauty all of their own. Depending on the season, the colours vary from the winter whites of snowdrops, the yellow hues of daffodils and gorse, the spectacular sight of the blue haze made up of thousands of bluebells, and the golden amber of the autumn foliage. The many miles of way-marked routes with breathtaking views, are on forest roads, criss-crossed with old tracks and drovers roads providing a safe environment for horse riding, cycling and walking. The drove roads were once used to drive livestock through the wild mountains of mid-Wales en route to Smithfield Market in London. The horse trails follow old tracks where possible, whereas the cycle routes follow the varied gradients of forest roads. All these routes are available to walkers. On these tracks which run over hills and through wooded valleys, you may be lucky enough to see a variety of wild life, including red kites, honey buzzards, goshawks, many more birds and animals. You may come across the ivy-clad ruins of one of the old farms that once dotted this area. 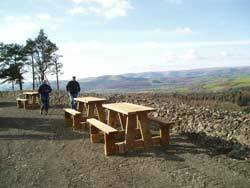 There are four receptor sites for entry into Crychan Forest at Brynffo, Esgair Fwyog, Cefn Farm and Halfway, providing ample parking for cars and horseboxes, with picnic tables, corralling areas and tethering posts. 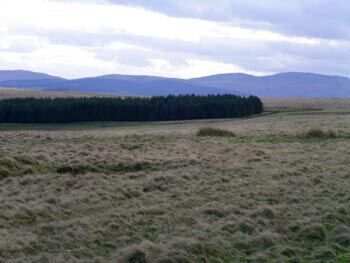 Access onto the Epynt Way can be made at 3 locations from the waymarked trails in Crychan Forest. This greatly increases the opportunity for exploring the area, the open country of the military ranges provides a contrast to the forest environment. Visit www.epyntway.org (website opens in a new window). 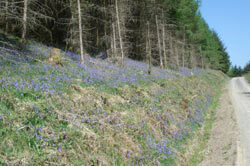 Crychan Forest is located North and East of Llandovery, brown tourist signs give directions from the A40 (Llandovery to Brecon) and A483 (Llandovery to Builth Wells). There are four entrances to the forest: Esgair Fwyog – Take the A483 from Llandovery for 4.2 miles and turn right at the Glanbran Arms, Cynghordy. Follow the minor road towards Tirabad for 2.0 miles. The entrance is on your right. Brynffo – Take the A483 from Llandovery for 4.2 miles and turn right at the Glanbran Arms, Cynghordy. Follow the minor road towards Tirabad for 2.8 miles. The entrance is on your right. Cefn Farm – Take the A483 from Llandovery for 2.6 miles and turn right at the second minor road on the right. Follow this single track road for 1.4 miles. There are very few passing places, and caution is required. It is suggested that you turn right as you leave Cefn Farm car park to avoid meeting traffic using your approach road. The entrance is on your right. 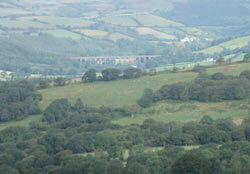 Halfway – Take the A40 from Llandovery for 5.2 miles (from the railway station) The entrance is on your left. Crychan Forest was originally part of the Glanbran estate, which at one time reached from just outside Carmarthen to Builth Wells and was owned by the wealthy Gwyn family. 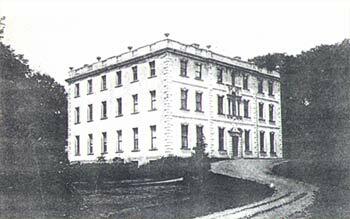 The mansion was know as the fairest in Towy Valley but was demolished in the first half of the twentieth century. In 1928 the government bought several farms in the area as there was a depression in the sheep farming industry at the time and the farmers were glad to sell. The forestry gave work to many locals and a Forester’s House was built on the estate. Tirabad was also part of the estate – the name Tirabad is derived from Ty’r Abad (house of the abbot). At one time there was a monastery here. Several of the drover’s roads met in Cynghordy (the name means meeting house) and then went through the Crychan Forest towards England. In 2006 the Clywd-Powys Archaeological Trust undertook an archaeological survey of Crychan Forest on behalf of the Forestry Commission Wales.